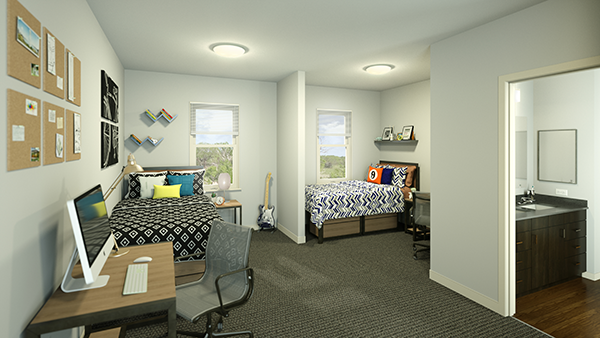 Our new student housing development - Esperanza Hall is available for students seeking an academic success-oriented living environment in this upcoming academic year! As a student attending A&M-San Antonio, You're going to love it here! 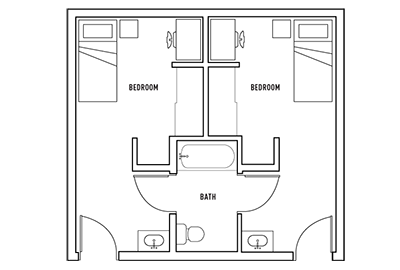 Our housing requirement states that first-year students must live on-campus at Esperanza Hall. Students currently attending A&M-San Antonio, who have earned fewer than 30 semester hours, also fall under this requirement. On-campus living has proven to promote academic success, resulting in better graduates and move involvement with the university community. Overall, students living on-campus enjoy a better overall college experience than those who do not. Click on the image below to learn more about Esperanza Hall! For more information on Esperanza Hall, you can call (210) 784-1717 or click below for direct inquiries. First year students and students who have earned fewer than 30 semester hours must live on-campus. Can I be exempt from living on campus? There are a select few reasons in which exemptions can be submitted. An Exemption Request must be submitted and approved instead of submitting a housing contract. Exemptions may take up to three weeks to process. To submit an Exemption Request click here. 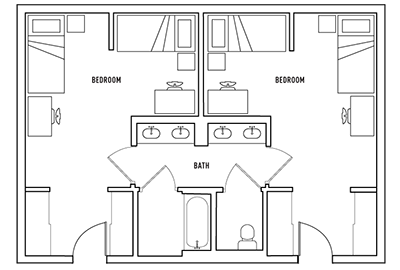 Can I live on campus if I am an upperclassmen? 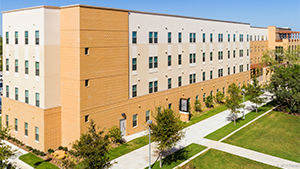 Each year there may be a select number of spaces available to upperclassmen, to see if you qualify please contact the Esperanza Hall leasing office. For more information about dining plans please visit our DineOnCampus website. Living off-campus can be a fun and exciting time, but you should also be aware of your rights and your responsibilities as a tenant, roommate, neighbor, and community member. Make sure you are aware of your surroundings at all times and take all safety precautions to make sure you have a safe and healthy living experience off-campus. For more information please contact Jo Anna Franke, Assistant Vice President for Student Engagement and Success at (210) 784-1354.